whereas the Deluxe continued to be offered through June. of these sets represented extremely good value for money. sold. I know of no other "15-tubers" that came even close! ator Boake Carter, with Messrs James M. Skinner and Sayre M.
Ramsdell of the Philco Company in attendance. 7350-11600 (4) and 11500-18200 (5). ed here, courtesy of NostalgiaAir. 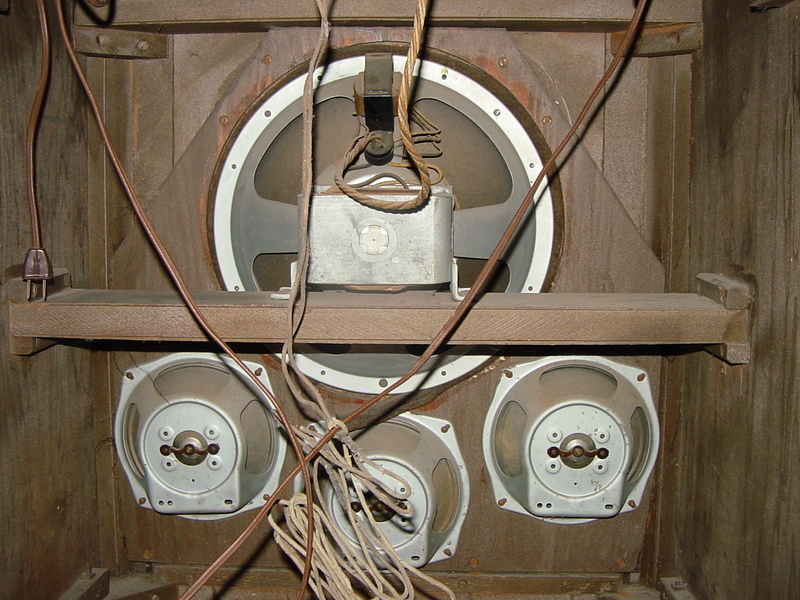 speaker baffles visible on all the models. than usual (5 times on the manual tuning version). 200/201X, 116X, 680X, 37-690X, 38-116X and 38-690XX pages. 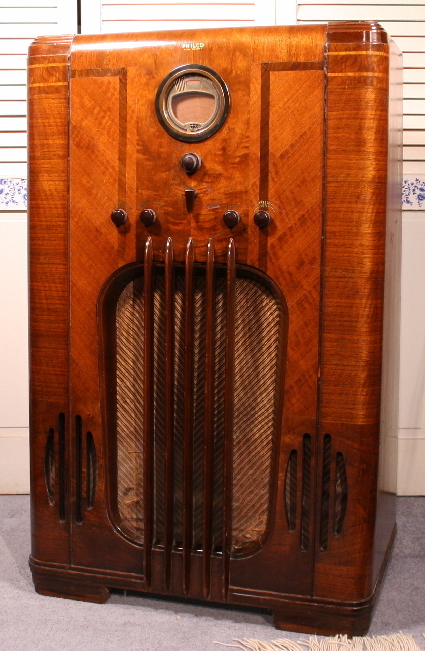 Philco High-Fidelity Tone gives you sheer, thrilling realism!. 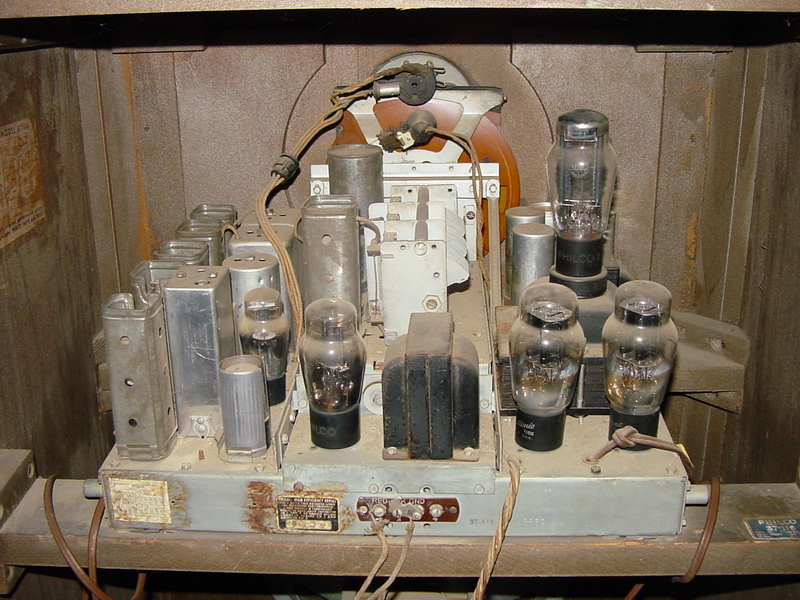 designed audio circuit and audio tubes. and the other to reproduce low notes"
fullest power are to be enjoyed. which a magnet pulls metallic object toward it. 27 tuned circuits with the Philco High-Efficiency Aerial..
"The 116X cabinet has taken on new beauty.